It is both a blessing and a triumph that the Hublot boutique should now be occupying such a commanding position overlooking the harbor. At the junction with Place Longemalle, just a stone’s throw from the lake, Hublot will take its rightful place at 86 Rue du Rhône on June 8th, 2018. 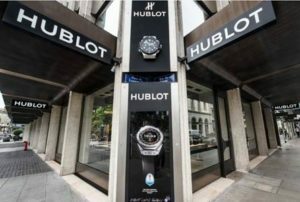 Hublot now boasts one of the finest locations in Geneva, surrounded by the most prestigious of neighbors. 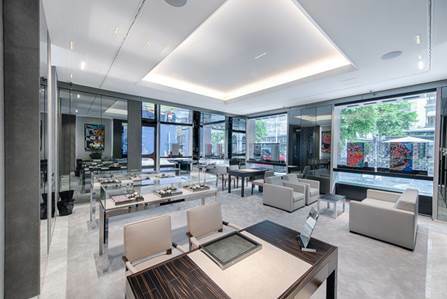 Just 25 km from its manufacture, the boutique, which occupies one of the most coveted addresses in the city, also reflects the path taken by the brand since the Big Bang was created in 2005. The love affair between Hublot and Geneva runs deep. 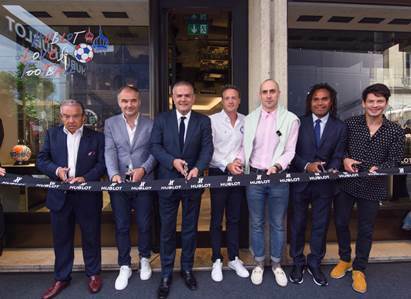 It was here, in 1980, that the brand established its headquarters – before relocating to Nyon in 1986 – and opened its first boutique in late 2008 at 3 Rue Robert-Céard, just a few meters from its new home. Almost 40 years on from its creation and its beginnings in Geneva, Hublot’s evolution and success have been breathtaking. Its assets include two manufacture buildings in Nyon and a staff of 600 around the world. Creating its own movements, it conceives and produces new materials using a high-tech foundry and an in-house metallurgy and materials department. With its world firsts and patented innovations, Hublot is constantly making its distinctive mark on watchmaking: “Be the first, be unique, be different”. This philosophy underpins the brand’s ongoing development of its Art of Fusion, a concept born in 1980 with the first in-house case combining natural rubber and gold in the inspired shape of a boat’s porthole. 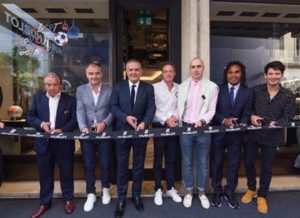 The founding concept was a fusion of traditional watchmaking skills, innovative, cutting-edge technologies and the most unusual of materials. This fusion would also see the brand forging associations with personalities, expertise and talent to create the unexpected. The new boutique showcases the Art of Fusion across 80 square meters. Like its boutique on New York’s Fifth Avenue, the décor has a distinctly urban feel. Mirrors, glass, marble and metal are brought together in a fusion of materials that reflects the incredible energy of Geneva – the very energy that gave birth to the watchmaking industry 500 years ago. On the eve of the 80th edition of the Bol d’Or Mirabaud, marking the sixth year in which Hublot has been the partner and official timekeeper of the event, the city will beat to the rhythm of the Hublot boutique as it dons the colors of the legendary regatta.